Retailers, fearing the weakest holiday shopping season since 1969, have slashed prices on countless items. Just when you thought the holiday shopping season was over, retailers are offering great deals in an effort to lure consumers in to spend that Christmas cash. Shoppers began arriving at the King of Prussia Mall around 6:00 a.m. Friday hoping to take advantage of markdowns up to 90 percent off. “I got a little Christmas money, so I figured I’d come out and see what I could find on sale,” one shopper said Friday. The holiday shopping season was one of the most dismal in years and even the after-Christmas period, when consumers normally rush to stores to use gift cards and seize on big sales, isn't expected to be enough to save retailers from a terrible year. Post-Christmas shoppers are returning the bad gifts and taking advantage of the great deals retailers are offering. Analysts have kept slashing their holiday estimates. Michael P. Niemira, chief economist at the International Council of Shopping Centers, now expects that sales at established stores for November and December will fall 1.5 percent to 2 percent -- which would make it the weakest holiday season since at least 1969, when the index began. Retailers are still trying to entice consumers with big markdowns, extended hours and other perks. "It has a Black Friday feel to it," said Tom Aiello, a spokesman for Sears and Kmart, likening the post-Christmas promotions to those found the day after Thanksgiving. Sears stores are opening several hours early and offering doorbuster deals through noon. Shoppers can get jeans for less than $10 or special financing on exercise equipment to help keep their New Year's resolutions. Kmart is cutting in half prices on necessities, such as fall and winter clothes for the family, and offering deals on seasonal decor. Although gift cards sales overall are predicted to be down, Aiello said Sears and Kmart have not seen that and are expecting strong redemption. Retailers cannot record a sale on gift cards until they are redeemed. Toys R Us said it is cutting prices by 60 percent on some brands the day after Christmas. And kids who didn't get the Hannah Montana doll they wanted may be able to find it for half off. Other retailers such as Target are pushing online deals, rather than in-store promotions, more heavily in the post-holiday period. Target said it is putting thousands of items on clearance and making them eligible for free shipping the day after Christmas. Others, like Wal-Mart Stores, are waiting until the weekend to make markdowns on items such as televisions, office and home goods but say they will continue in-store promotions of the week. 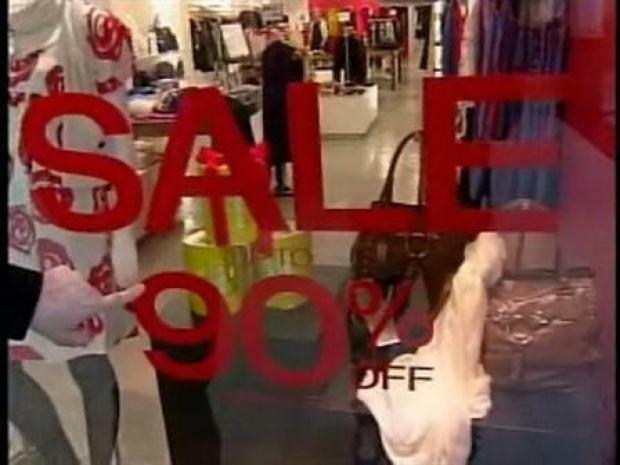 Several retailers said they will continue or add new promotions in January, as experts predict the recession will carry into 2009.